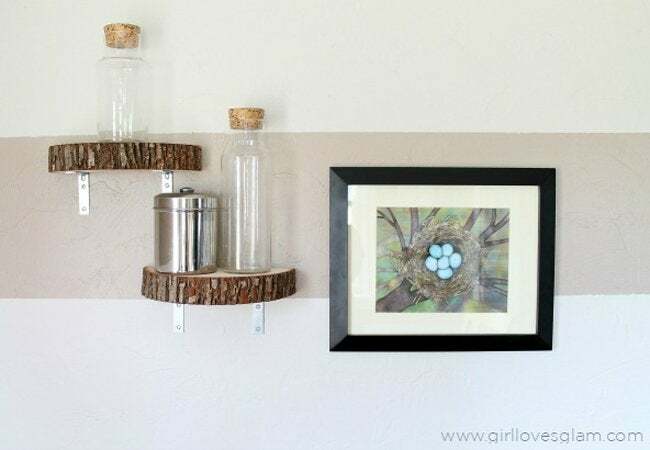 Learn how one blogger transformed a few inexpensive materials into wall shelves that boast the look of an upscale home store find. After searching with no avail for modern accent shelves, Girl Loves Glam blogger, McKenzie, decided to take matters into her own hands. 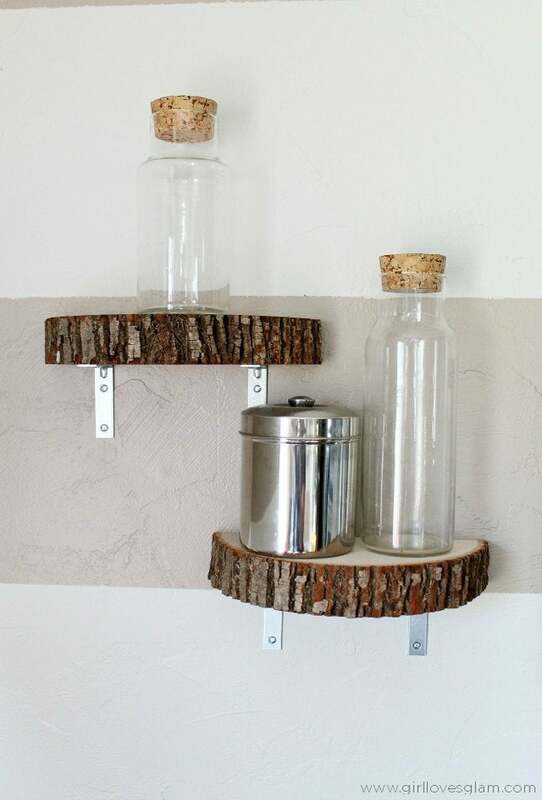 From there she crafted these rustic shelves that come together with only a handful of materials and a little DIY know-how. Continue to see how she built these natural beauties. 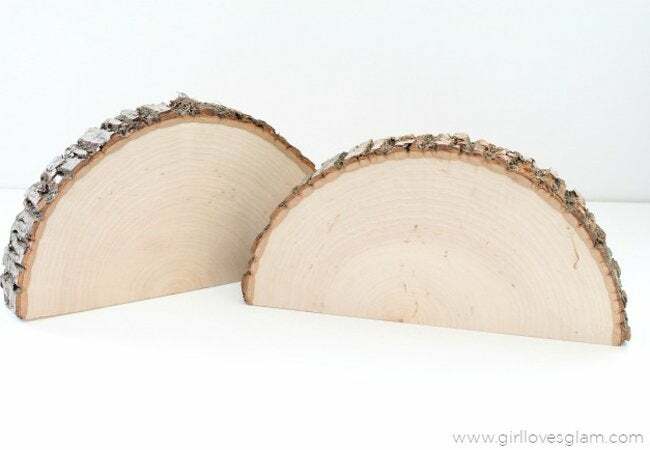 Measure where the center of the wood slice is, and cut the slice in half with a saw. 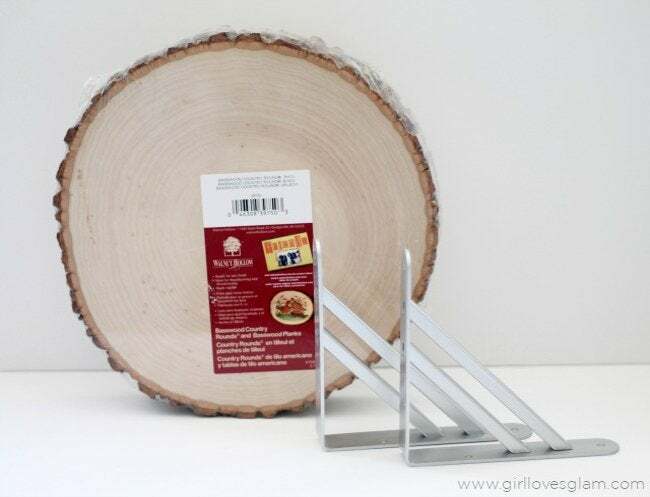 Place your L brackets on the wood slice, line them up with the back of your shelf, and screw them to the wood. 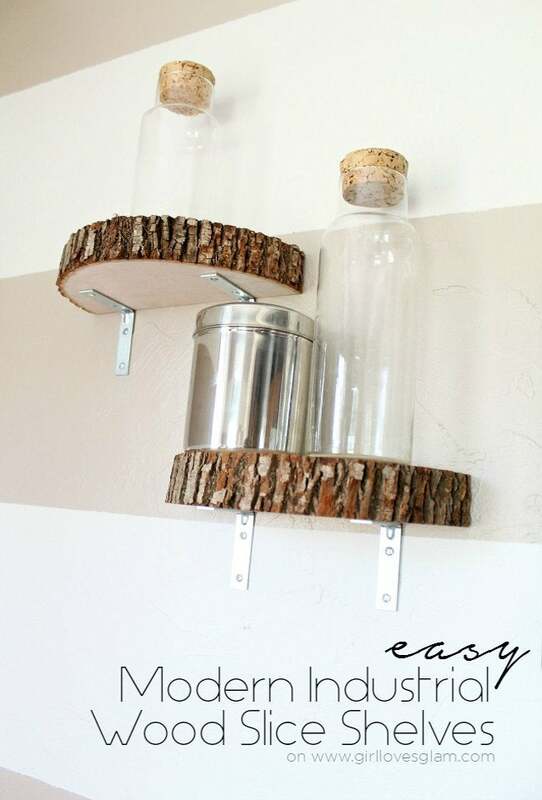 Screw the shelves into the wall and you’re done! Thanks, McKenzie! 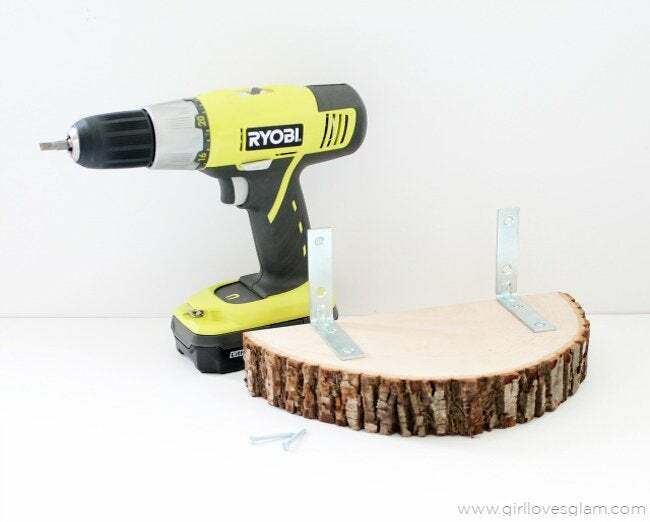 Check out Girl Loves Glam for more inspiring DIY projects.